We would obviously love a delegation that size but we have decided (like the last time) to throw our weight behind the @steemitbloggers to win. why VOTE for the @steemitbloggers? Like the @freewritehouse the @steemitbloggers are INTERNATIONAL. We share many of the same values (and, indeed, members). Both @jaynie and @mariannewest are active twitter hustlers! 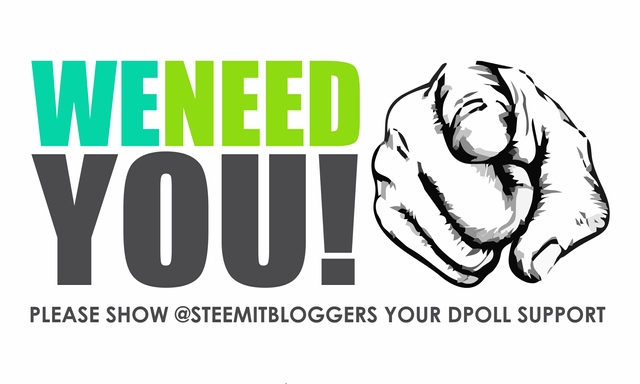 @steemitbloggers want steem to grow, with quality posts. To join the @steemitbloggers you just need to be committed, to help your team and steem to grow. 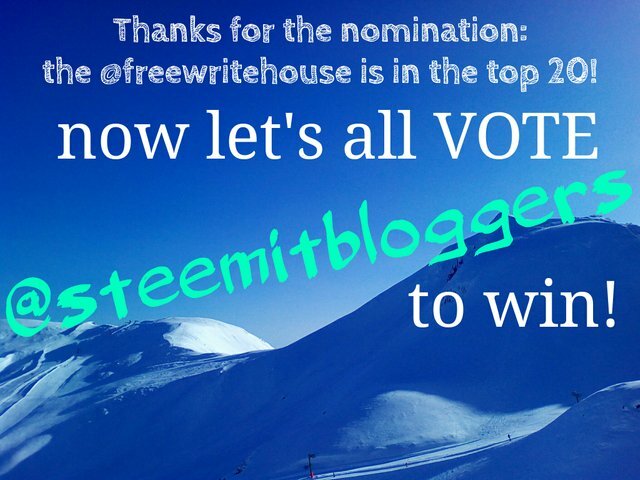 There are lots of great steem projects nominated but we would like YOU to vote for ONE: @steemitbloggers (aka #powerhousecreatives. Please give @steemitbloggers your support! No worries. You vote for who you feel drawn to. Thank you @freewritehouse for the call for support!!! #powerhousecreatives are forever grateful to have you part of our community and together we can create tidal waves!